Say hi to your Facebook pals and put a cute face on your greeting. 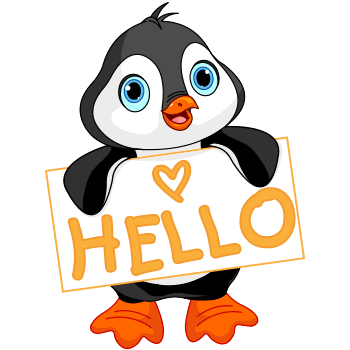 This penguin will lend an adorable touch to your correspondence. With its colorful appearance, this image is sure to be noticed by your network of family and friends. Don't forget to check our website to find about new additions to our collection.